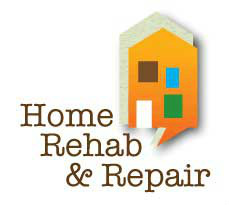 Home Rehab Program provides grant and low-interest loans and construction management to complete exterior and interior repairs such as roofing, siding, painting, plumbing, electrical, and heating systems for eligible homeowners. A safe home is a valuable home. If you are elderly, disabled, or low income, we will help organize, train, and supervise volunteer labor to rehab or weatherize your home to assure you live in a safe and clean environment. Construction Coordination includes overseeing the selection and completion of home repair projects, coordinating the construction team and managing costs. Energy Efficiency Counseling allows HRC to teach homeowners about how to conserve energy through home energy audits, weatherization, and other green conservation techniques, increasing the wealth of low-income homeowners by keeping scarce resources in their pockets.